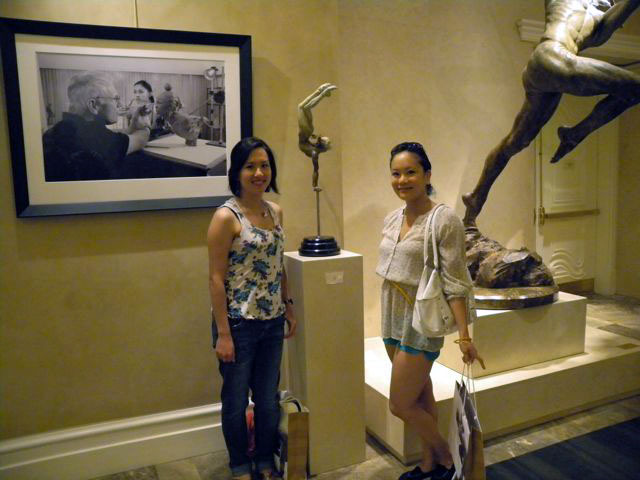 I went to Vegas over the weekend to relax with a couple girlfriends and the highlight of my trip was seeing the following exhibit at the Bellagio hotel. 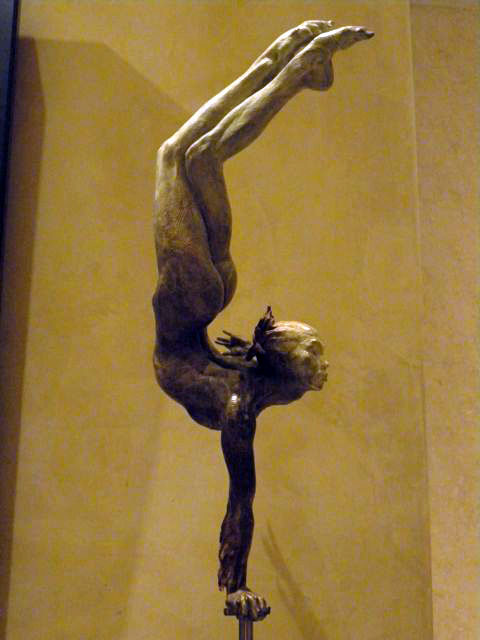 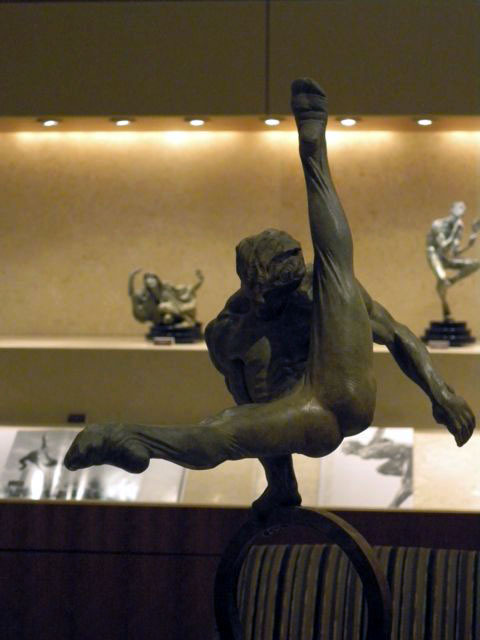 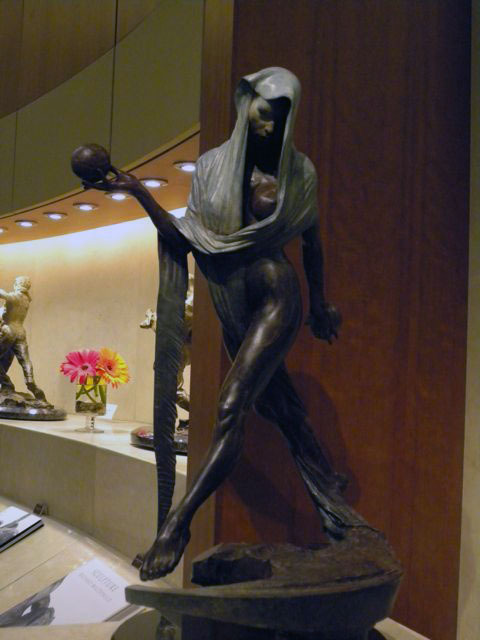 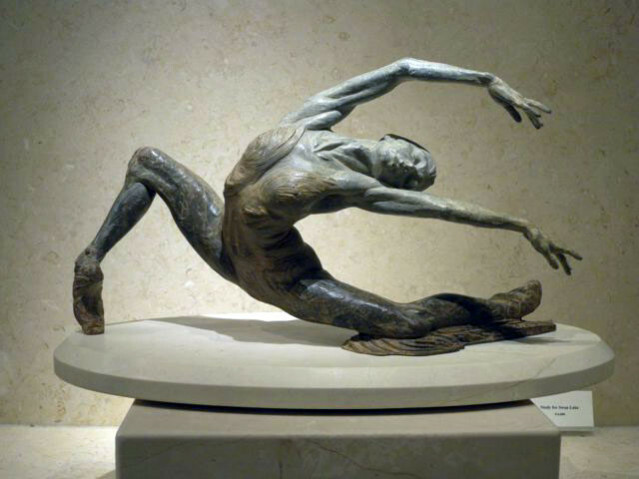 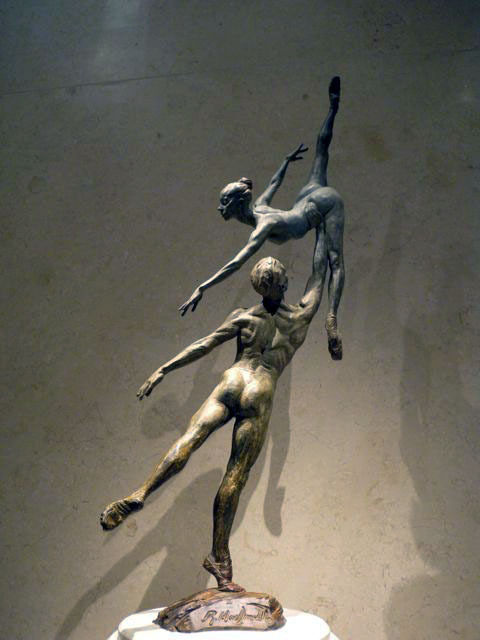 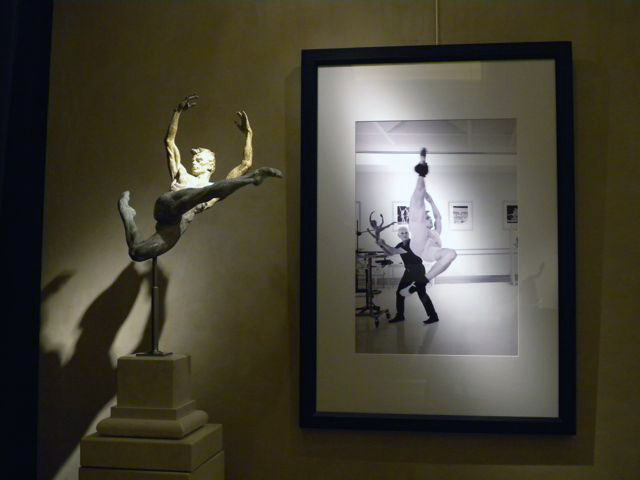 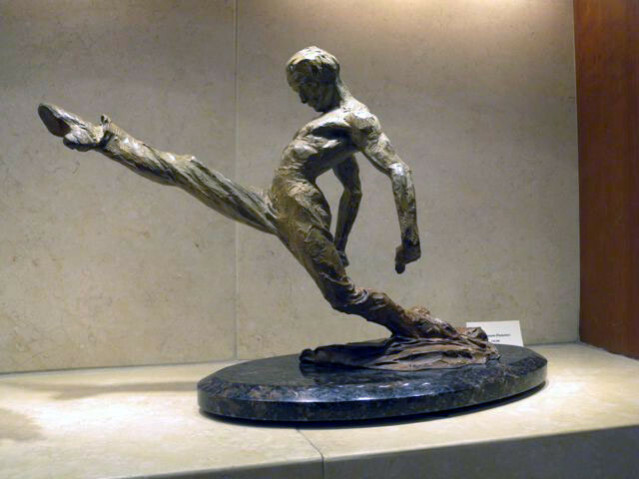 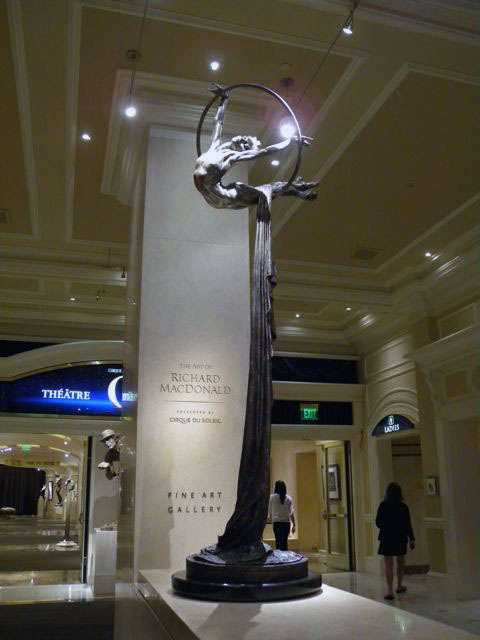 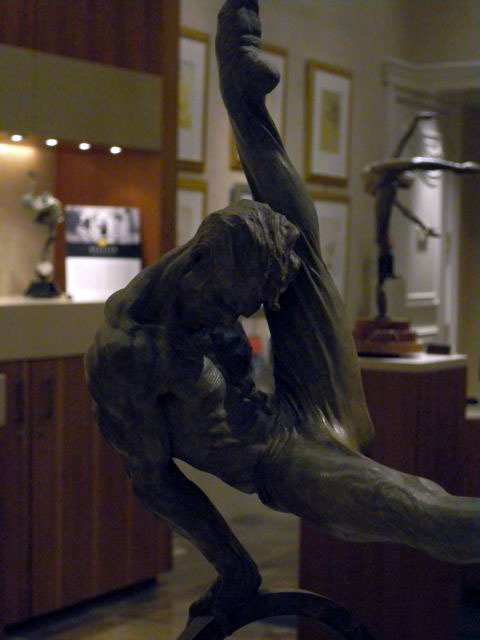 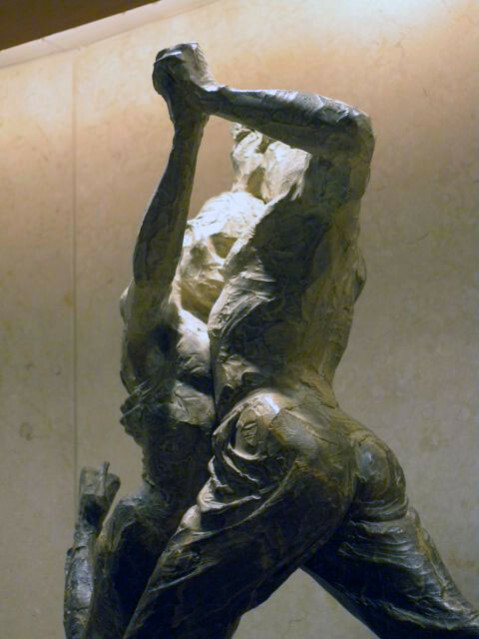 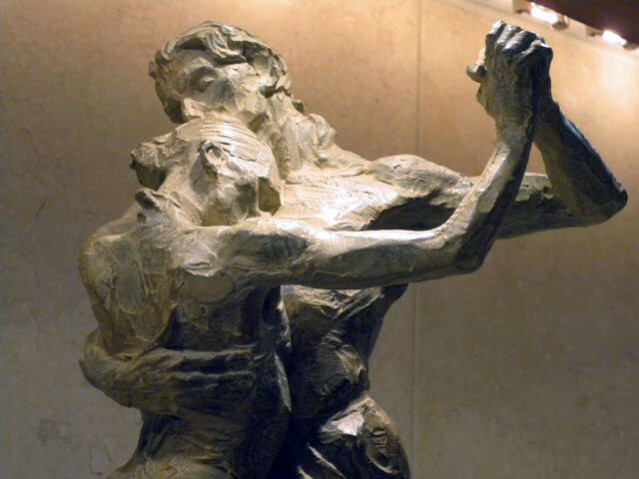 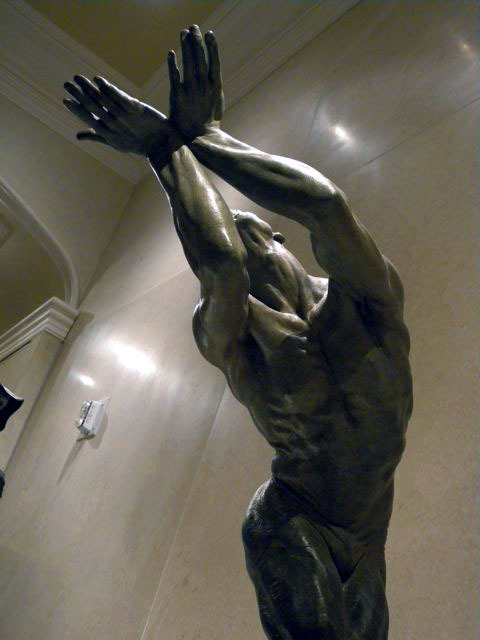 It is a permanent gallery of California based sculptor, Richard MacDonald's work. 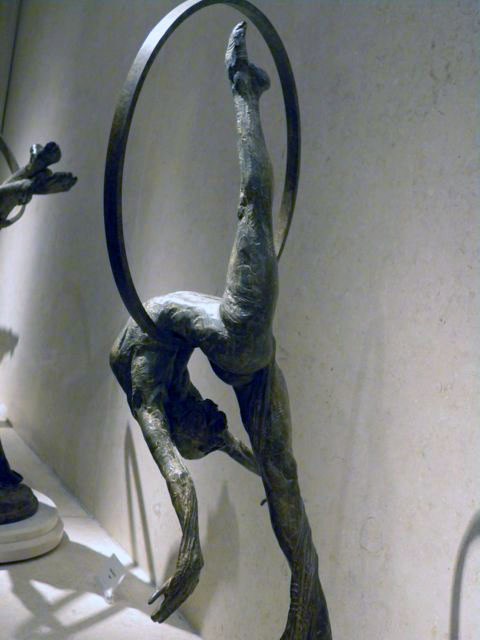 He created incredible bronze casts of dancers and aerialists from Cirque du Soleil. 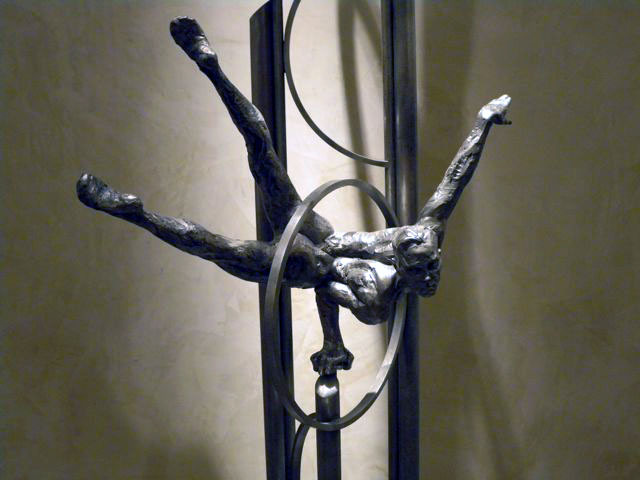 I love seeing the world of fine-art and aerial arts come together. 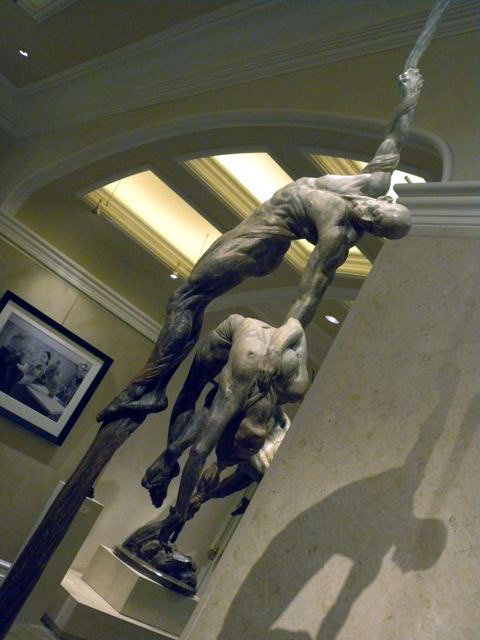 Upon walking in, I was instantly reminded of Rodin. 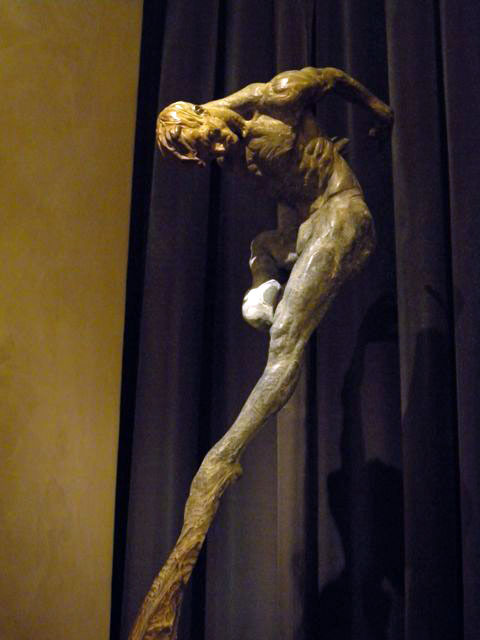 Lots of movement, weightlessness and poise. 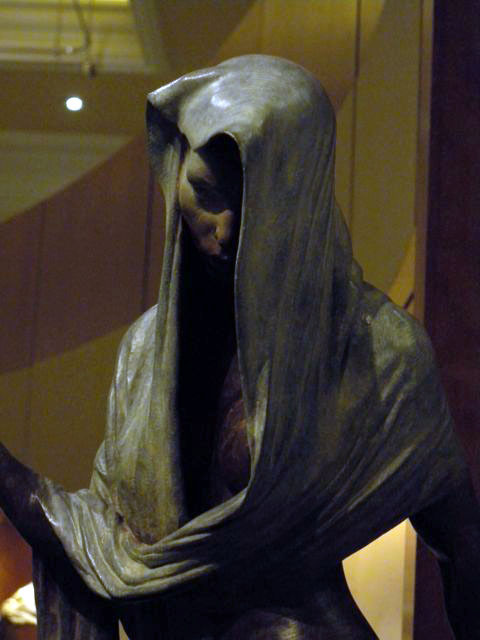 Needless to say, I spent quite a bit of time just taking photos. 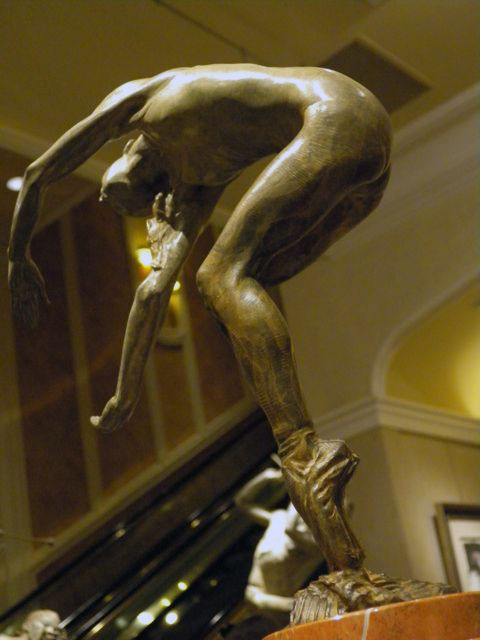 🙂 I told the curators that I was both a poler as well as an artist and they were more than happy to help turn the sculptures around so we could admire them from all sides. 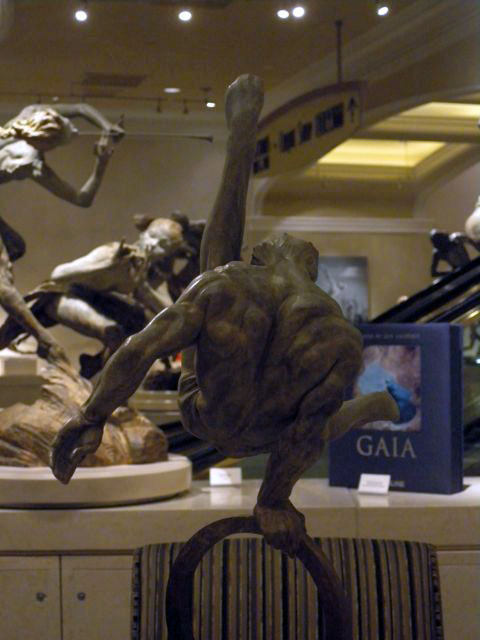 The "O" Theatre Lobby at Bellagio. 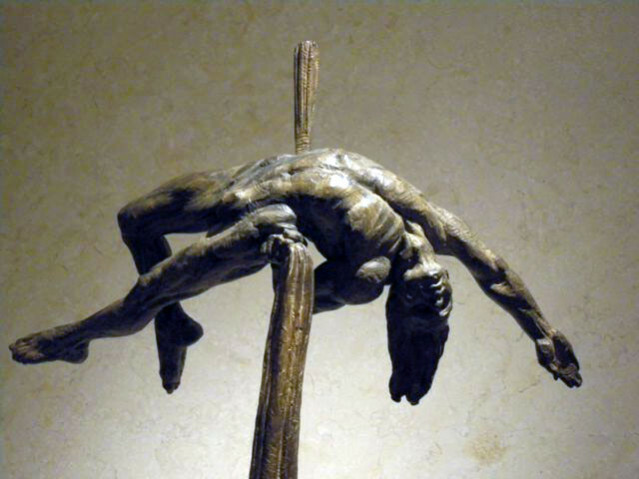 10 a.m. – 1:00 a.m.